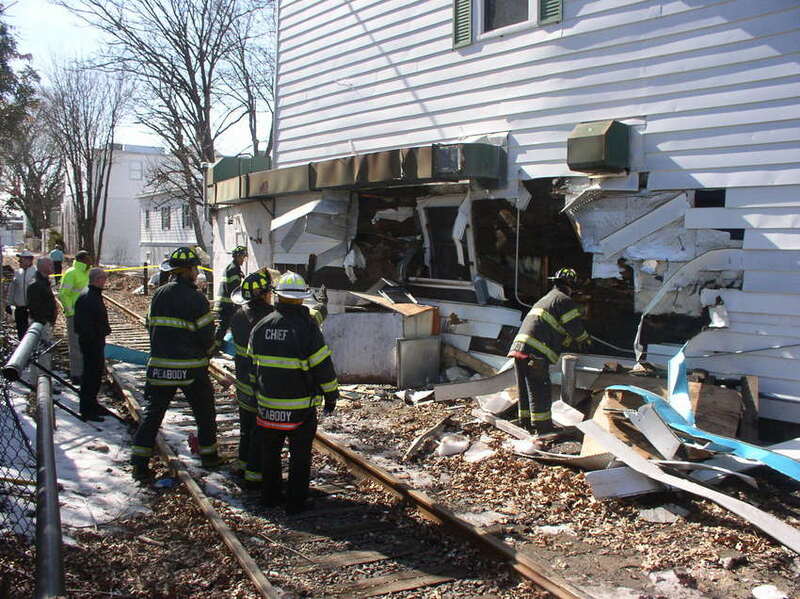 On March 1st 2007, Pan Am BO-1 struck a dumpster that was placed too close to the track near the Lowell St. crossing in Peabody Square, causing exterior damage to the adjacent building.It took several hours to inspect and clear the area of debris. HA!!! I love this series of photos!